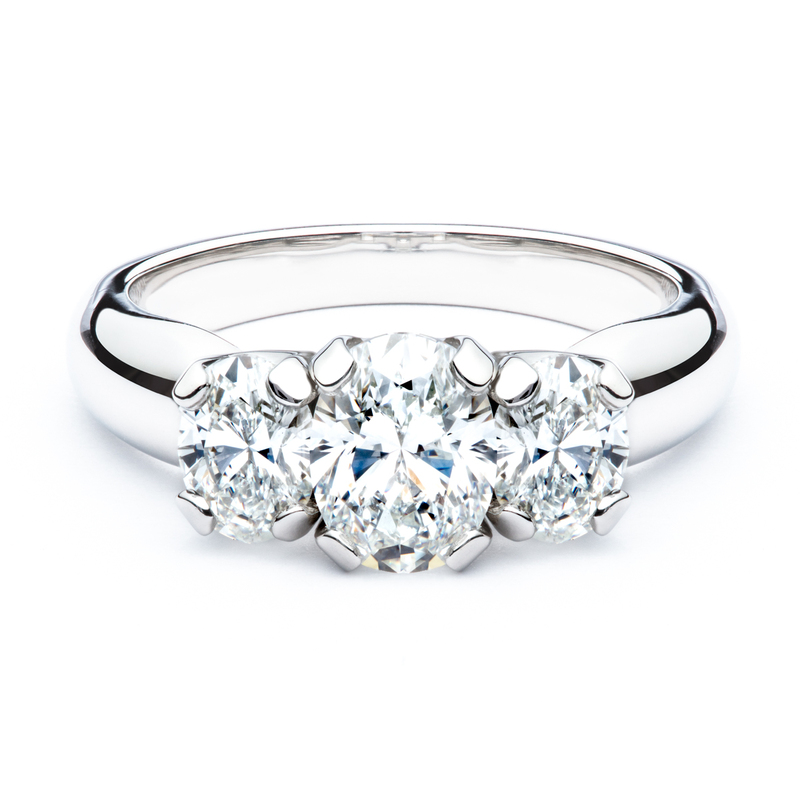 Past, present, and future represented in a platinum oval three stone diamond ring by Jabel for J.M. Edwards Jewelry. 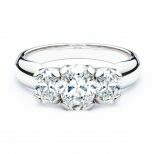 The center diamond is an oval 1.01ct F/SI1, the side diamonds are 0.92ct total weight F/VS1.